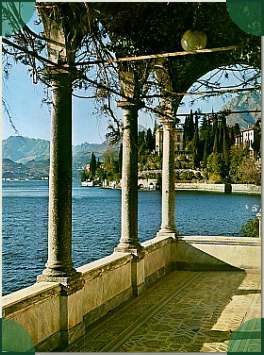 Built at the end of the eighteenth century for Cardinal Angelo Maria Durini, this villa has one of the most enchanting views on the lake and surrounding hills. 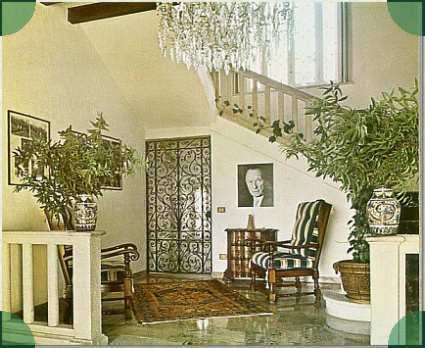 It has been possessed by many owners throughout the centuries, and it was completely renewed in the seventies by Guido Monzino, who enriched it with incredibly beautiful works of art (like Chinese vases). 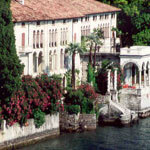 The villa is now under the artistic protection of the F.A.I. 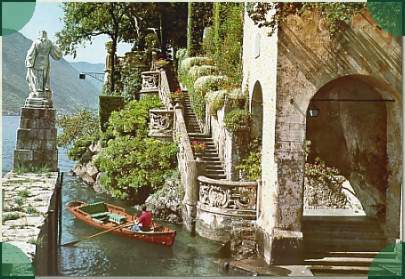 (Italian Enivironmental Foundation). Guided tours of the Villa are possible on Tuesdays, Thursdays, Saturdays and Sundays from 9.30 a.m. to 12.00 am and from 4.00 p.m. to 6.30 p.m., from spring to autumn. 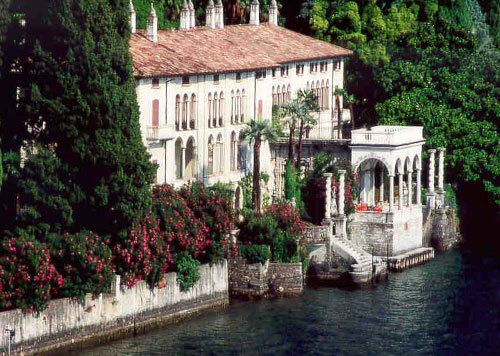 Villa Melzi is situated on the banks of the lake in Bellagio, probably the most famous tourist spot on the lake. It was discovered by the Germans and the English. 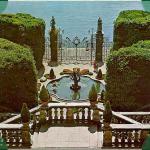 During the Belle Epoque it became a renowned international holiday resort. 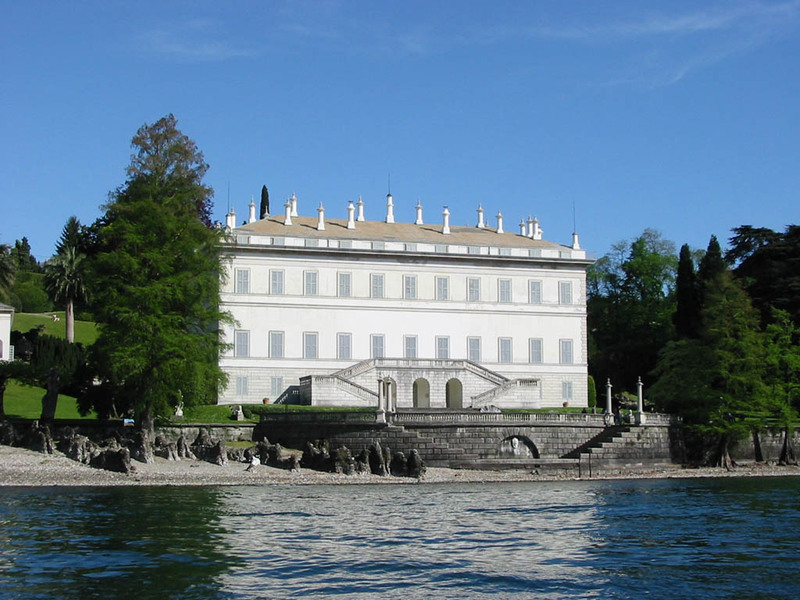 Villa Melzi is one of the most emblematic examples of neoclassicism in Lombardy. 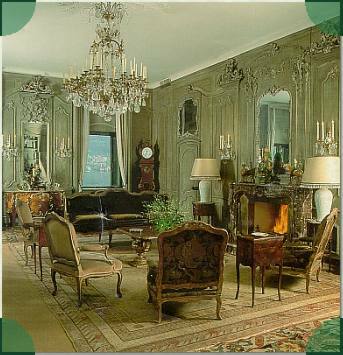 It was built by Albertolli by the order of Francesco Melzi d’Eril, an eminent politician during the Napoleonic era. It later went under the custody of the noblemen Gallarati Scotti. 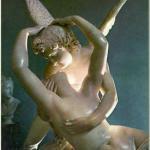 The Villa is rich in archaeological finds, statues, sculptures and there is also an arabic temple in the parkland. The daily tour is from April to October, from 9.00 am to 6.00 p.m., but not in the primary building. 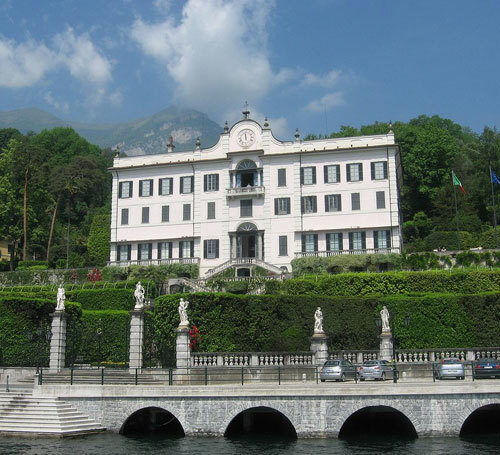 Located in Tremezzo, Villa Carlotta is a luxurious eighteenth century building, that was completed in 1690 by the Milanese banker Giorgio Clerici. 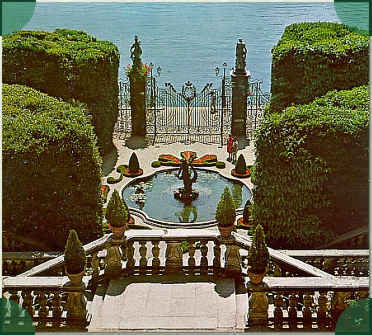 The villa was property of Princess Marina from Nassau, the wife of Alberto from Russia. It was later given to their daughter Carlotta when she married the Prince from Saxon Meiningen. 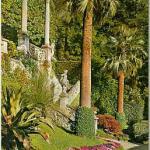 During her lifetime, the villa was enriched with a magnificent English garden. 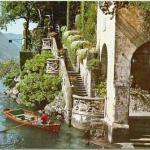 It is currently owned by the Italian Local Administration that supports its thanks to the “Villa Carlotta” Foundation. 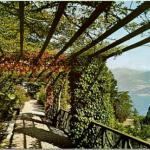 The villa is surrounded by a park containing about five hundred species of plants and flowers. 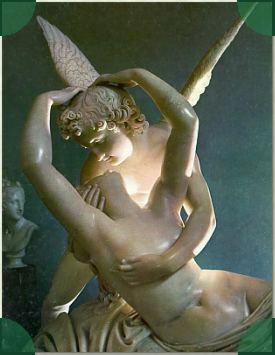 Housed, among others, are marble statues by Antonio Canova and paintings by Francesco Hayez, such as the famous “The Last Kiss of Romeo and Juliet.” In the interior there is a copy by Baldini of the sculpture “Amore and Psiche”; in fact the original sculpture by Canova is in Leningrad at the National Museum. 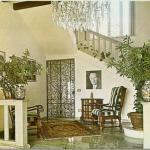 Tours of the villa are possible from 9:00a.m. to 6:00p.m., from spring to autumn. 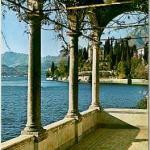 Located in Varenna, Villa Monastero was built in 1567 close to a monastery, after which it takes the name. 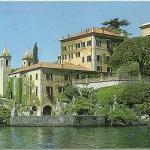 Since 1953 it has belonged to the foundation "Villa Monastero", scientific meetings are held from June to November. 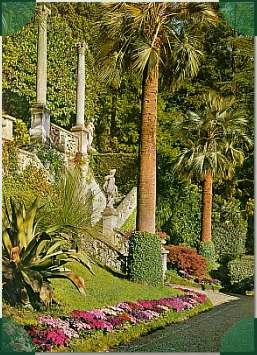 The magnificent parkland that surrounds the villa is adorned by marble sculptures and exotic plants such as palms and agaves. 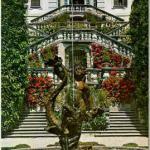 In addition the flourishing of roses and cineraria are impressive. Casa Museo and garden Saturday, Sunday & holidays 9am to 6pm. Casa Museo and Garden Friday from 2pm to 7pm, Saturday, Sunday & holidays from 9am to 7pm. 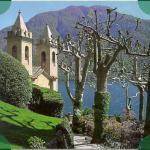 It is worthwhile visiting Varenna village, right in front of the lake. 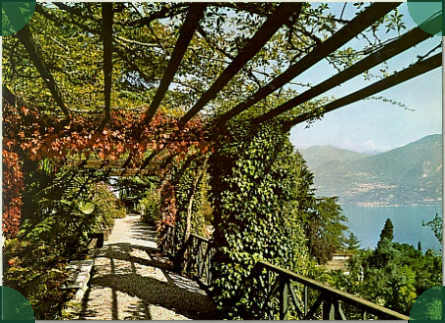 In the Como lake district area are the great noble villas and their parklands that appear to be a tacit agreement between Man and Nature, in perfect environmental and chromatic harmony between the spellbinding vegetation and the suggestiveness of unfathomable geometry. 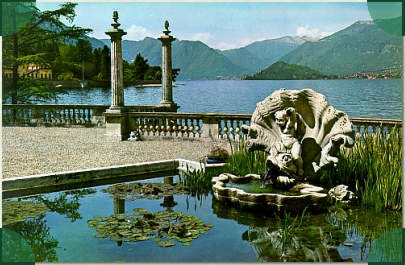 Villa La Collina is in Griante di Cadenabbia, in front of Bellagio. 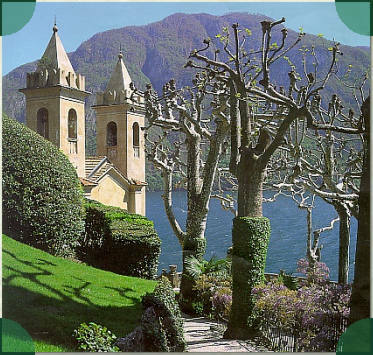 The area called Tramezzina is depicted by Stendhal as one of the most enchanting landscapes. 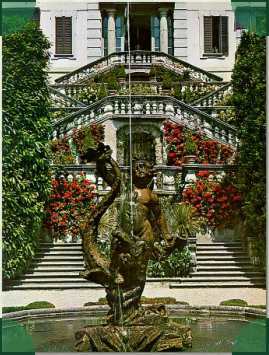 K. Adenauer, the German Chancellor, fascinated by this villa decided to use it as the summer secondary chancellery for twenty years. 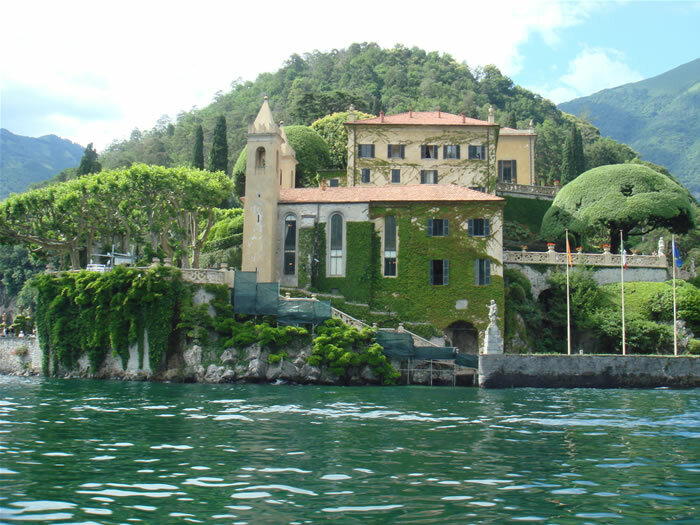 Villa Olmo is in downtown Como. 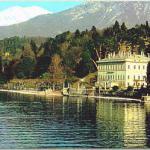 If you set off from Piazza Cavour you may walk along the lake among noble villas. 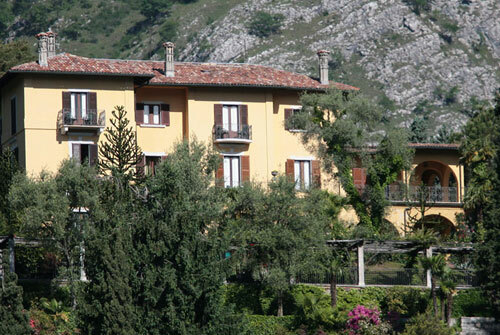 Once you reach the end of the walk, you immediately see the majestic villa. 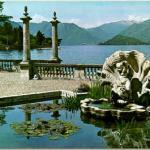 Villa Olmo was built at the end of the eighteenth century. 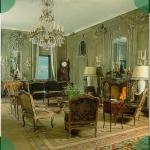 Inside it has a magnificent three floor hall, enriched with stuccoes and wonderful balconies. W ogrodzie angielskim na tyłach Willi znajduje się urocza "świątynka" neoklasyczna. Willa Olmo stanowi centrum kulturalne Como: odbywają się tu koncerty, spektakle teatralne, kongresy i wystawy.All of this is on the shores of the lake and its garden is now open to the public. 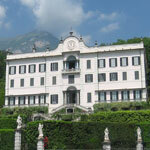 The neo-classic style villa was erected by Simone Cantoni in 1782. In the back garden, there is a unique neo-classical small temple. 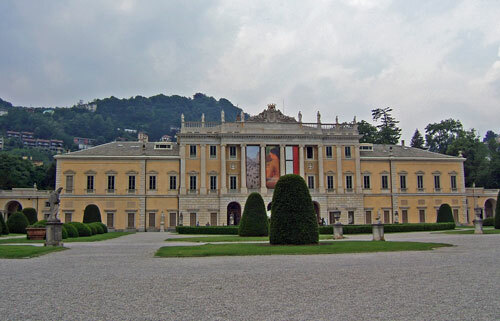 Villa Olmo hosts most of the cultural activities such as: concerts, rehearsals, congresses and exhibitions.